If you have a fun find you'd like to share, send us a shout-out by clicking on the Contact Us tab above. Today's tip came from the Catster facebook page! We love it when we find a cool pet-themed product that's also green! Every Thursday, Fab.com features a Pet Store, where great products for your pet - or pet themed products for your human - are on sale. Right now, Fab is featuring recycled leather desk caddies by Vacavaliente. 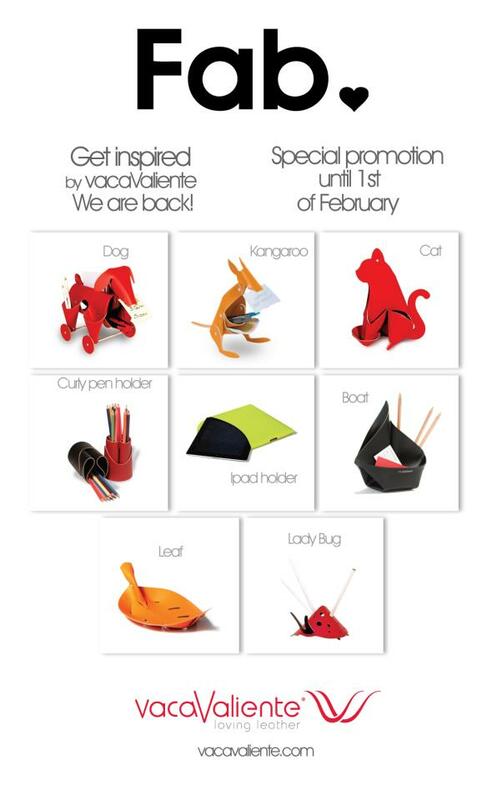 You can buy cat caddies, dog caddies, even a ladybug caddy! 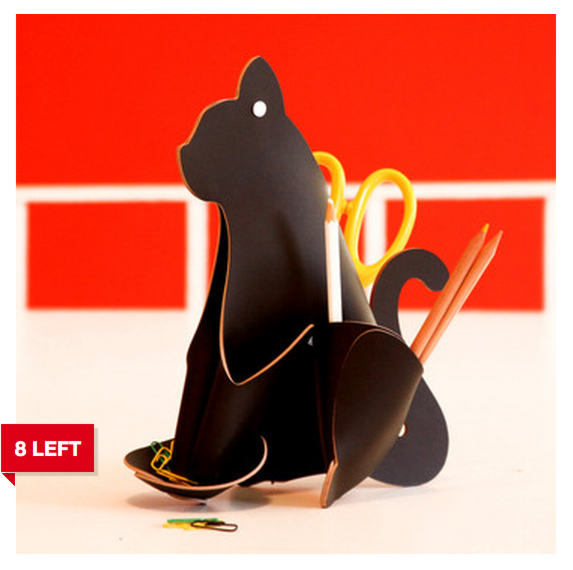 This adorable Black Cat is only $29. (Regular price: $42 - now only 5 left!) The kangaroo is $28 (reg. $38) and the dog is $49 (reg. $69). If you're interested, you need to act now - the sale ends today, February 1st! Cute! I like the little ladybug. Oh my they are cool. Have a fabulous Friday. So very clever! All of them look so cute! SERIOUSLIES? That's almost half off!! I like the leaf! Where can i buy this? Well, since the sale ended yesterday, we're guessing you could google vacaValiente or go to their site at vacaValiente.com...? Thanks for stopping by! Nice to meet you! !